The buzz-worthy upgrade to Manila’s tourist belt is the new Manila Ocean Park, the country’s first world-class oceanarium and the first in the world to include a boutique hotel, mall and open water habitat (all still under construction). This is probably the best thing that has happened to the city since the Planetarium. 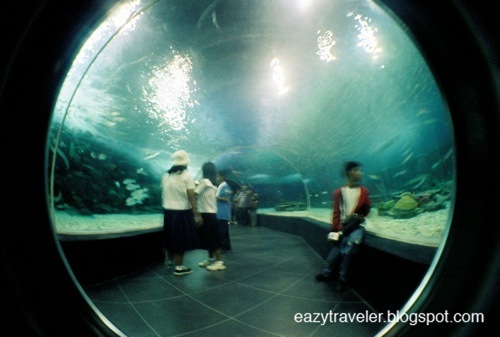 The oceanarium, situated in stark contrast above the unappealing waters of Manila Bay, opened last March 1. With an area of 8,000 square meters, the spacious park boasts of a diverse collection of freshwater and marine creatures like reef and riverine fishes, sharks, stingrays, crabs and sea horses. 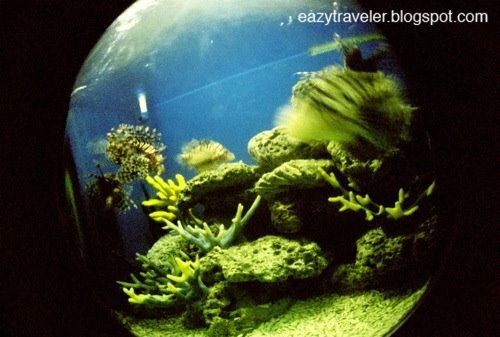 The aquarium displays, which are naturally not well-settled yet, follows the flow of water from the upland river (Agos) to the colorful coral reef (Bahura) to the depths of the ocean (Kalaliman). 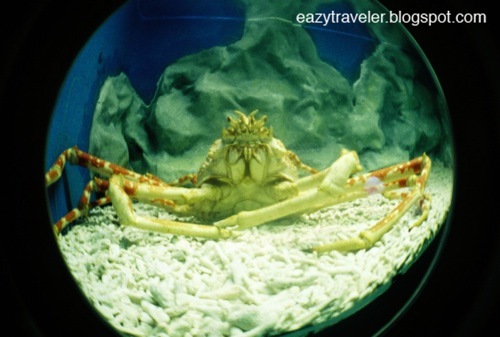 The most interesting animals on display are the huge freshwater arapaimas, electric eel, flashlight fish, stone fish (the most venomous), spider crab (the largest crab, pictured below), translucent bamboo shark eggs and the majestic stingrays that glide over the 25-meter long, 220-degree curved acrylic tunnel labeled Buhay na Karagatan (Living Ocean). Of course, the crowd favorites from Finding Nemo–the clownfish and blue tang– garner most of the ooohs and aaahs from guests. After the long tour, there’s the Fish Spa (P100), where doctor fish cleanse and relieve your tired feet. No kidding. If you’re not all too enthusiastic about ichthyological exfoliation, do the fish a favor and grab a souvenir t-shirt instead (P360). 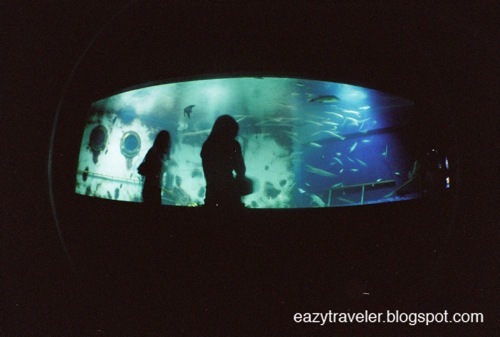 Manila Ocean Park is located behind the Quirino Grandstand. Entrance fees are P400 for adults, P350 for children and P250 for students. The park is open from 10AM to 9PM. To avoid noisy crowds and very long queues, go in the morning and preferably on a weekday. So, this is what looks like inside. I was also there some two weeks back but didn’t endure the long queue of visitors. I ended up taking photos outside using my phonecam. @Sidney: Avoid the crowds…Good luck! @dennis: Yeah, the fees are a bit steep. 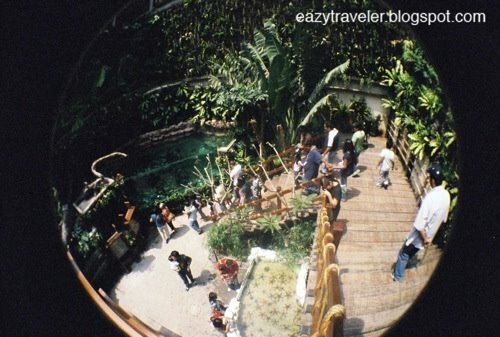 But I think it’s worth it, especially when the aquariums have naturalized. @dodong: Better to go when the park opens. Thanks for dropping by.